Erica Commons is dealing with a cross-country commute at the moment, but if things go her way, she’ll be running as the Liberal candidate in Niagara West in this year’s federal election. Commons, 27, is one of two people so far to seek the Grit nomination for the riding that includes Pelham. That means until the Liberals make a decision on their candidate, the St. Catharines native will be commuting once a week to Niagara from her current job at the University of British Columbia in Vancouver, where her husband is from. She and other would-be nominee, Ian Bingham, were at a “meet the candidates” event at the community centre a few weeks ago, and after two cross-country flights, she was back this past weekend for a riding association meeting in West Lincoln. Her platform is a mix of both progressive values and some of the concerns unique to a mostly-rural area like Niagara West. They meet in what she calls an environmental bill of rights. Another related area she believes the feds could do a better job in is prodding the Ontario government further on its long-planned GO Train expansion into Niagara. The federal Conservatives under Stephen Harper cancelled VIA service to Niagara in 2012. “I think it’s important for people to have access to all the wonderful employment opportunities that extend from Niagara all the way up through the GTA,” she said. Commons also said she believes there’s a “remedy” in finding middle ground between concerned residents and Niagara’s rapidly-growing marijuana production industry. Commons knows that the Liberals will see tough going in the Niagara West riding, which has been a Tory stronghold for decades. 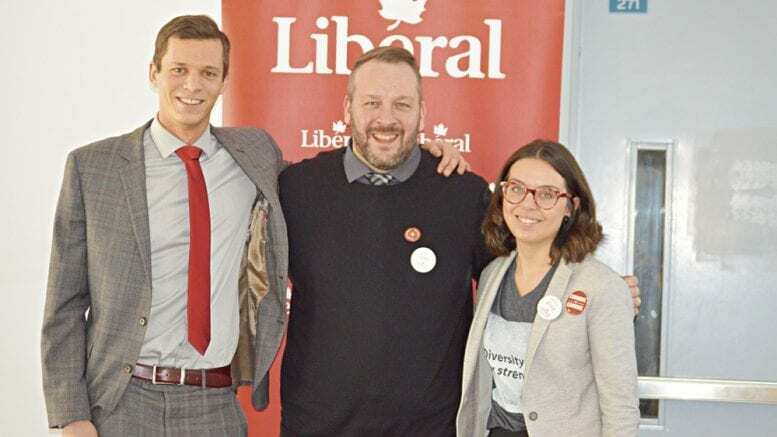 A Liberal hasn’t represented Pelham federally since after the 1993 election, when it was part of the now-abolished Erie riding. Yet from a representation standpoint, Commons says it’s important for her and other women to throw their hats into the political ring. The last time any Niagara riding had a female federal MP was Conservative Shirley Martin, from 1984-93. Commons graduated high school from Denis Morris in St. Catharines in 2009, the same week her mother was laid off from her job. She said the experience helped inspire her to learn and ultimately get into public service. This included studying at UBC, Queen’s, and even a research residency in public health studies at the University of Hawaii. “Political engagement is a great way to do positive things,” she said. It’s not yet known when the Liberals will choose their Niagara West candidate, although it’s expected to be in the coming months at the latest. The federal election can happen no later than Oct. 21.